Now, let's create some Creatures! You have two important things in place, your photo and the Cut-outs. Now we’ll combine the two using PowerPoint or Keynote. 1. 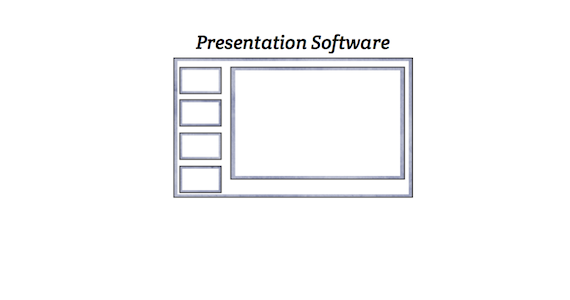 Open your presentation software with your photo on a single slide. 2. Open your folder of Cut-outs so that you can see them. 3. Drag the Cut-outs right onto the photo and resize them. 4. Your creature will start to be revealed! Got it? Now let's learn tricks for manipulating Cut-outs so they fit your photo.